The art of handwritten script is lost on most of us keyboard-attached slobs. But over the past few years, a small group of designers have dug into the archives of famous thinkers and artists to bring their script into the digital world—meaning that you, too, can write like Einstein, even if you can’t think like him. Here are just a few specimens based on the hands of authors, artists, and scientists—and if that doesn’t interest you, you can always make your own. Odds are good you’ve seen Einstein’s handwriting before—his hand is immortalized, for example, in his notes where E=mc2 is written. But a closer look at his script reveals a lovely, looping handwriting that’s normally overlooked. Harald Geisler, a designer who specializes in handwritten type, and Elizabeth Waterhouse, a dancer and theorist, are in the process of turning that script into a digital font. Their Kickstarter campaign, launched last week, has already doubled its goal amount—and the duo plan to release the font to the public for $15 this fall. Take a look at their amazing making-of rundown on Kickstarter—it’s well worth a few minutes of your time. Last of all, I had to invent the X. For the life of me, I couldn’t find one penned by Jane Austen. So, if you can procure me a sample of words like Xanadu, or Xerox, or Xerxes in her handwriting, I promise to update my font as speedily as possible. You can download the free font and install it right here. The type foundry P22 actually specializes in handwritten typefaces, many of them pulled from the notes and sketchbooks of famous authors and artists—for example, they collaborated with the Philadelphia Museum of Art to create a Michelangelo typeface. These typefaces aren’t quite the rigorous research projects that the others on this list are, but there are some cool little details. For example, Da Vinci’s typeface includes a backwards version—based on his famous “mirror writing” shorthand seen above—as well as extra Wingdings-style characters pulled from his sketchbooks—Gauguin’s includes profiles based on his sketches. You can buy the finished product for about $20 here. Not interested in parroting the hands of famous thinkers? 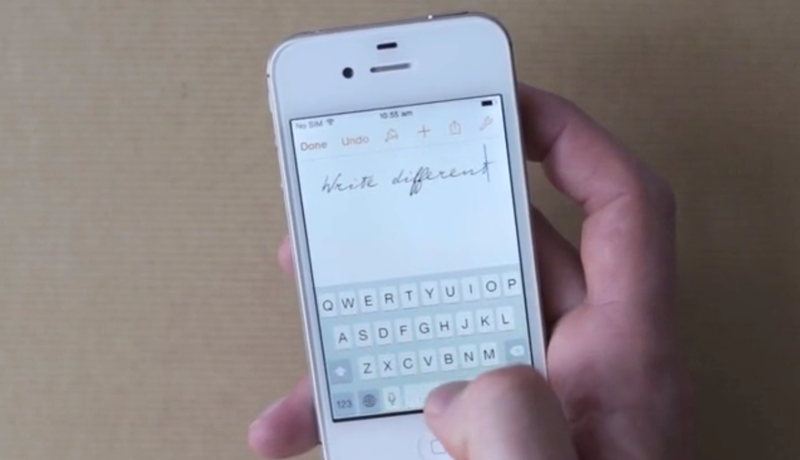 You can make a typeface based on your own chicken scratch using tools like iFontMaker or MyScriptFont, too.